We had a again a very busy day at Bosphorus. First, one of the NATO’s standing maritime task forces, Standing NATO Mine Counter-Measures Group 2 (SNMCMG-2) passed through Bosphorus. 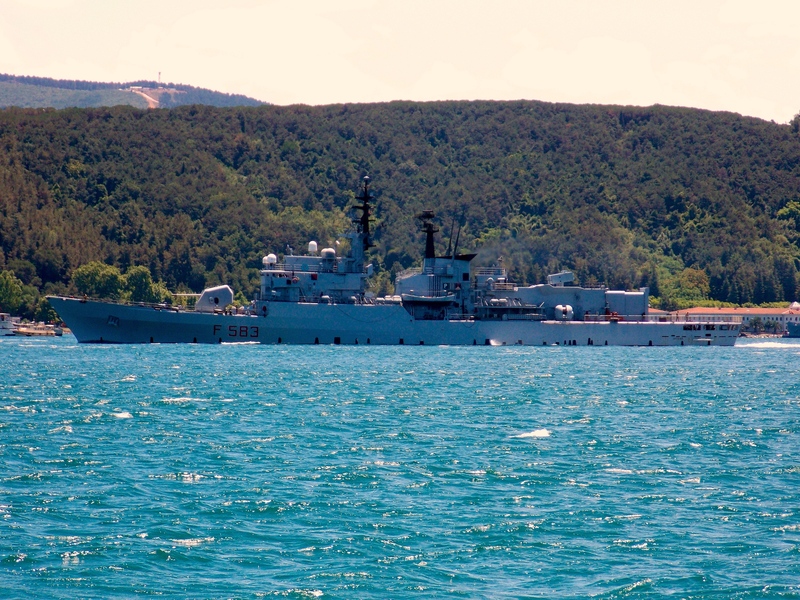 They are heading to Burgas, Bulgaria and the task force will take part in the Bulgarian led naval exercise Breeze. The Flagship of SNMCMG-2 F-583 ITS Aviere. Photo: Yörük Işık. Used with permission. A double barreled 40mm fast gun as a CIWS. Not the the empty place to the left of the gun were the Otomat anti ship missiles used to be. Photo: Yörük Işık. Used with permission. 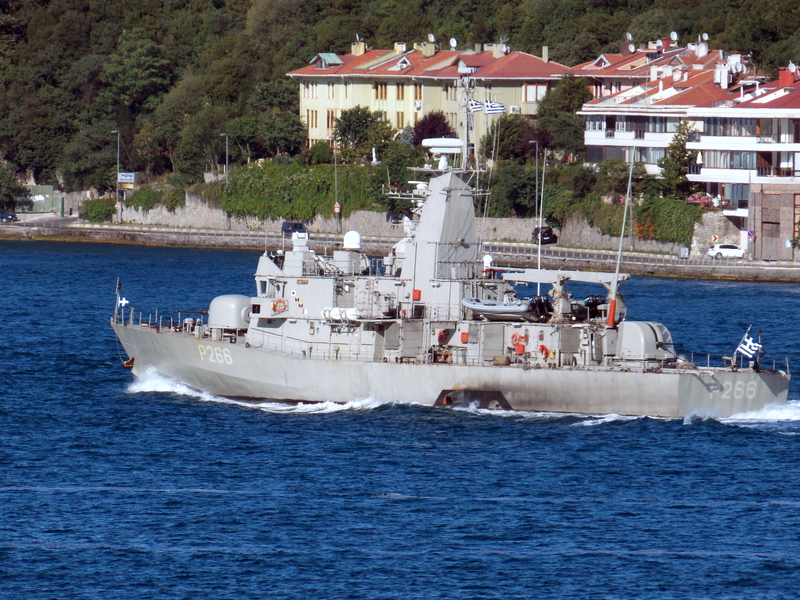 Turkish contribution to SNMCMG-2 M-270 TCG Akçay. Photo: Yörük Işık. Used with permission. 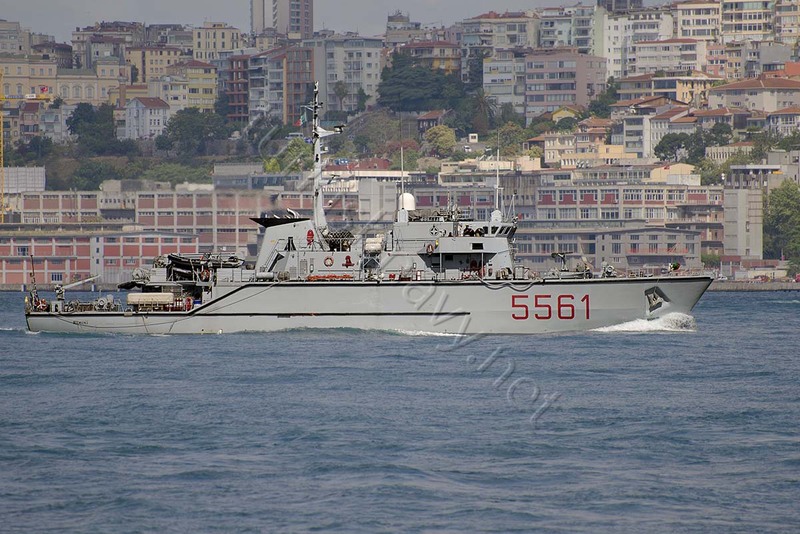 Italian mine hunter 5561 ITS Rimini, the second Italian ship in SNMCMG-2. Photo: Yörük Işık. Used with permission. 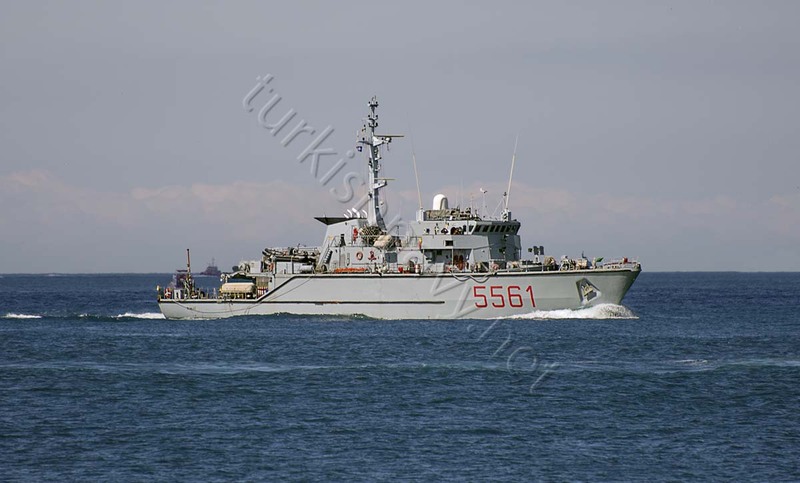 Italian frigate F-583 ITS Aviere, after exiting from the Bosphorus. ITS Rimini as she was entering the Bosphorus. 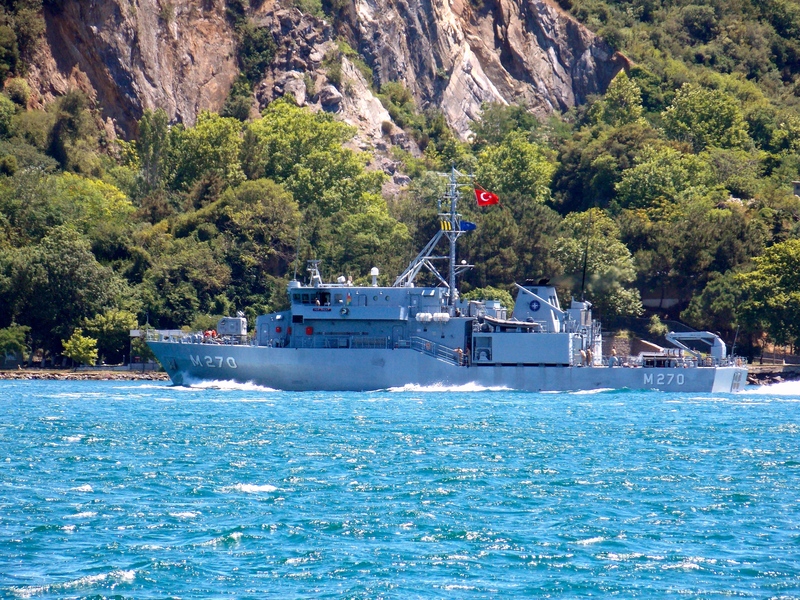 According the NATO webpage the SNMCMG-2 is made up from the following ships: Flagship F-583 ITS Aviere, 5561 ITS Rimini, M-270 TCG Akçay and M-37 HMS Chiddingfold. The British warship was not with the task force and here whereabouts are not known. 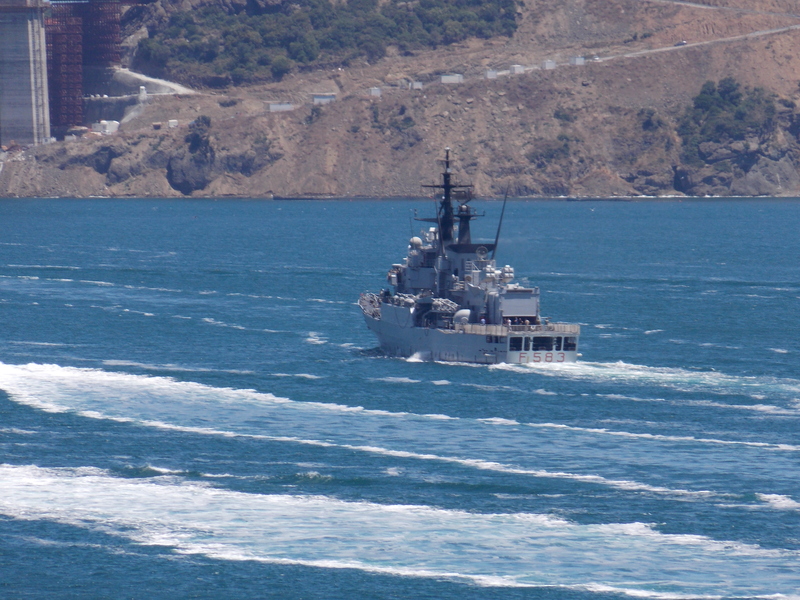 Greek patrol boat P-266 HS Machitis passing though Bosphorus. Photo: Yörük Işık. Used with permission. 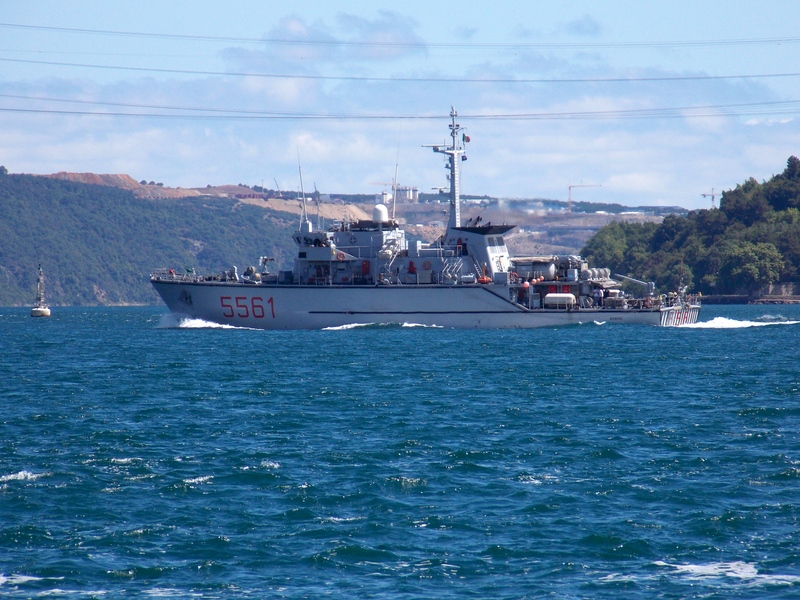 In addition to the NATO task force the Greek patrol boat P-266 HS Machitis passed through the Bosphorus. It is safe to assume that she is going to Bulgaria to take part in the exercise. 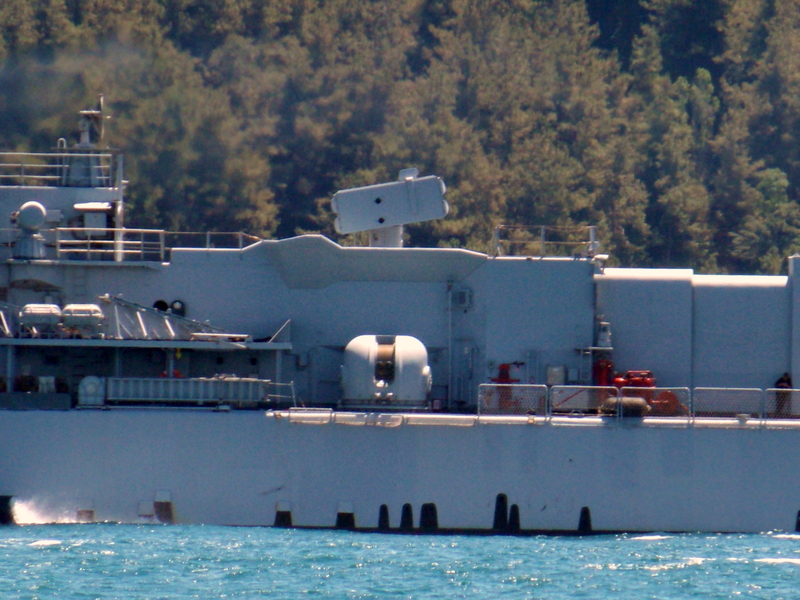 S-354 TCG Dolunay, passing through the Bosphorus. Photo: Yörük Işık. Used with permission. 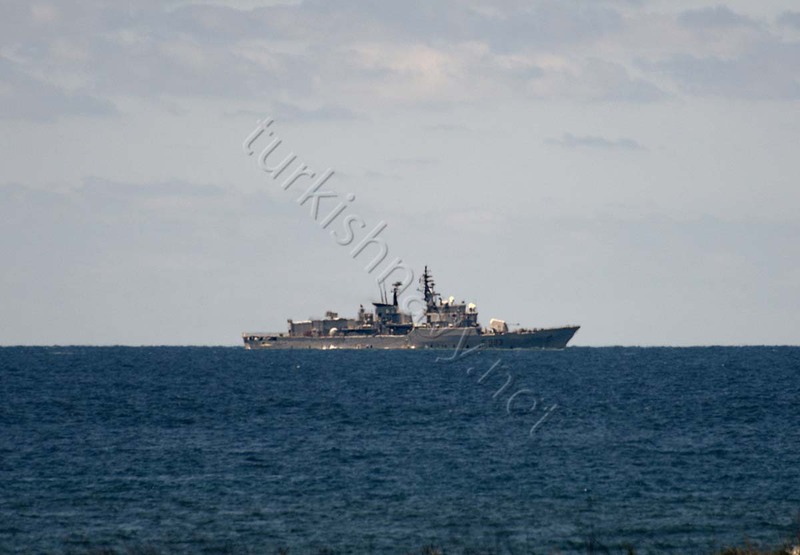 May be the most important sighting was however the northbound passage of an Atılay class (Type 209/1200) submarine. 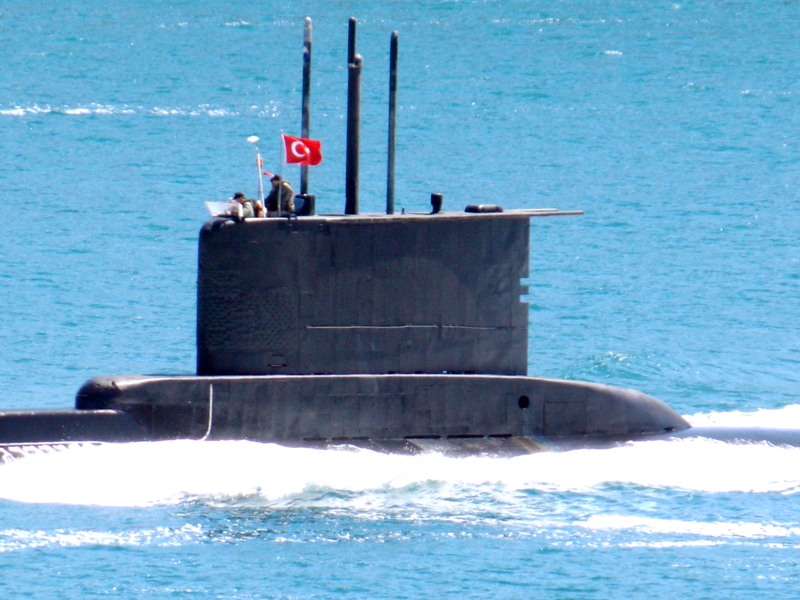 This is the second Turkish submarine to sail to the Black Sea in 48 hours! 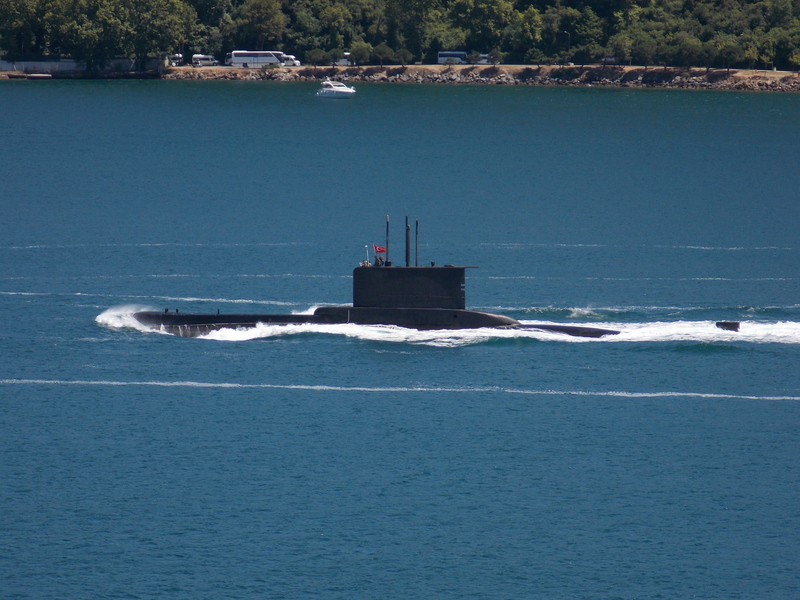 As Turkish submarine do not carry pennant numbers or name shields anymore is not possible to identify this submarine. According to the official Turkish Navy website the Atılay class submarine S-354 TCG Dolunay has passed through the Bosphorus to take part in the naval Exercise Breeze 2014.